The Autumn Statement in 2016 brought about a change to the VAT Flat Rate Scheme, which has taken effect rom 1st April 2017 onwards. The Flat Rate Scheme (“FRS”) is a simple and cost effective way of minimising VAT record keeping requirements. The Government introduced the scheme as an incentive to help simplify taxes. If you are VAT registered, then you charge 20% VAT on your sales invoices but only send HM Revenue and Customs (“HMRC”) a portion of the VAT collected, retaining some of VAT collected in your business. This lower rate is dependent on what industry your business operates in. And, you get a 1% discount in your first year! The flip side of this scheme is that you are not able to claim the VAT back on your expenses. Hence the simplicity of the scheme. The flat rate scheme works well for our clients that work in the entertainment industry as the relevant % is 12.5% (13% for film, radio and tv production). John works as a freelance cameraman. He is not the greatest at keeping records, so the Flat Rate VAT scheme works well for him. He invoices his clients with the 20% VAT, but only pays over 13% of his gross receipts to HMRC. 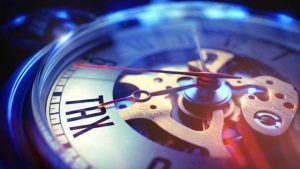 This means that he potentially pockets up to 7% of the VAT collected which is then treated as a taxable income when his accountant comes to complete his accounts and personal tax return. HMRC have brought in a new flat rate percentage of 16.5% for businesses classified as "limited cost traders". These are businesses who, each quarter, do not spend at least 2% of their turnover on direct costs (subject to a minimum spend of £250) – if this criteria is not met then the 16.5% FRS rate applies. HMRC were clever in choosing this new rate – let’s look at the maths behind it. The 16.5% charge is equal to repaying 99% of the VAT you collect to HMRC i.e. £100 +VAT = £120 × 16.5%= £19.80 to pay. It is anticpated that this change will result in the flat rate vat scheme being less attractive for many businesses. If you feel your business is likely to be caught by the above changes, consideration needs to be given to reverting back to the standard VAT Scheme or if you are under the VAT registration threshold de-registering altogether. Contact us if you feel you may be caught by the new changes, or if you would like more information on the Flat Rate VAT Scheme.